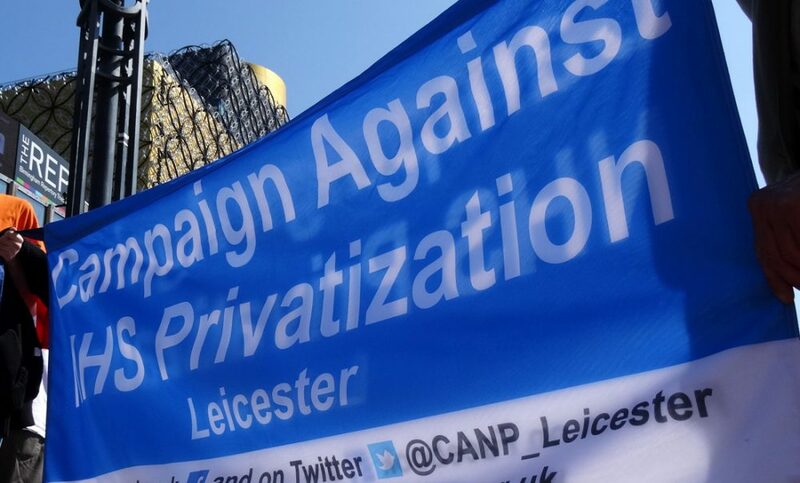 Important notice: Save Our NHS Leicestershire will be holding a public meeting on Saturday 6th April on the subject of Leicester UHL Trust plans to reconfigure the three existing hospitals into two, without adequate public consultation or revealing details of how these will cope with the expanding population . Venue: Hansom Hall, Leicester Adult Education College, Wellington Street , Leicester. The leaflet attached gives more details of this meeting. Please note it in your diary to attend. Get in touch if you would like some paper copies to distribute. We want a big audience. What are we seeking and why? We are seeking a judicial review to stop Secretary of State for Health Jeremy Hunt and NHS England from introducing new commercial, non-NHS bodies to run health and social services without proper public consultation and without full Parliamentary scrutiny. The NHS must remain as a public service that provides the full range of health care to everyone who needs it, free at the point of use. Working with public law firm Leigh Day, 999 Call for the NHS intends to bring a judicial review of plans for new local NHS and Social Care organisations to operate what they call “fixed, pre-set population budgets”. These budgets are supposed to cover an area’s population but they will be insufficient to meet the public need. These finance restrictions will force our NHS to behave like an insurance company. private hospitals delaying NHS patient’s treatment?